Home / Blog / AWFS – Innovation Everywhere You Look! AWFS – Innovation Everywhere You Look! Want to attend the largest woodworking show in North America? Want to take advantage of new, innovative products? Want to be better equipped to meet your customer’s increasing demands? Who doesn’t? Every two years the Association of Woodworking and Furnishings Suppliers puts on a fair for woodworking professionals. This year’s fair is shaping up to be an impressive one! After the recession of 2008, more exhibitors, equipment and technology will be on display than ever before. Not only can you see some of the most innovative products, you can educate yourself by taking one of the many seminars available. Does social media marketing have you down? Take the Marketing Yourself Effectively Online Seminar Thursday July 25 from 11:00am – 12:30pm. Are you new to the Closet Industry? Why not attend Intro to Closet Systems Design, Manufacturing and Sales led by ACSP President Dave Skinner and Woodworking Network Editor-at-Large Rich Christianson on Thursday at 11:00am. Are you a woman in the woodworking industry? Publisher Laurel Didier hosts “Women in Woodworking: What’s Your Story?,” Thursday at 12:00pm. 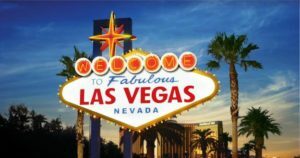 Even with temps in Vegas topping 100 degrees, it sounds like the hottest place to be is The Convention Center July 24 – 27!